On August 2nd, 2002, a group of Argus enthusiasts dared to venture out into the world at large. We call the day ARGUST SECOND. Armed with only an Argus camera (and some film) these Argus-toting loyalists produced the fascinating images below. 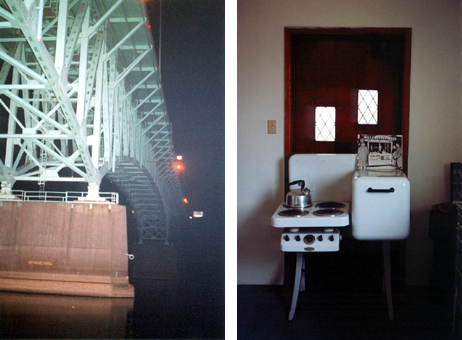 Both were taken with my Argus A-Four (rapidly becoming my favorite Argus...this month anyway). 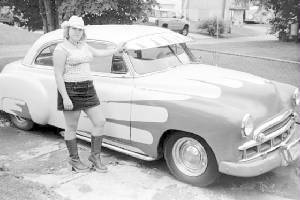 Both shot on Plus-X, processed in HC-110 dilution "B" and scanned the negatives on my Olympus ES10 film scanner (cheep but effective) One shot is my 19 year old daughter posing alongside my 16 year old sons 1949 Chevrolet. 1/50 f:8 (very overcast day). Then, I thought...heck I'll shoot some still life. Asked the same daughter to fetch me something interesting to put on the table for a shot...what you see is what she brought me. Haven't decided if I should be worried or not. But a mighty sharp shot for an old Argus I thought. Overhead light, f:22 focused at 3 feet, an approximate half second exposure...and first time I've used a cable release on the A-Four. It looked kinda silly on my massive Bogen tripod! 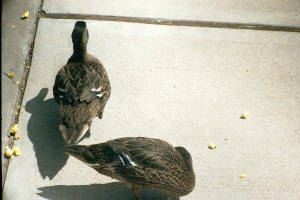 "They were both taken with a prewar Argus C3 s/n 0361766 equipped with a 100mm Tele-Sandmar lens. 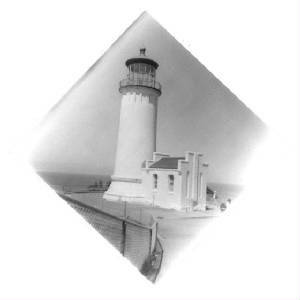 The flash picture was taken with an M2B bulb in an original Argus upright flash unit. The film was Agfa RSX II ASA50 slide film. The scanner was a CanoScan D 660U which scans at a maximum 1200 x 600 dpi and really does not produce very good results. 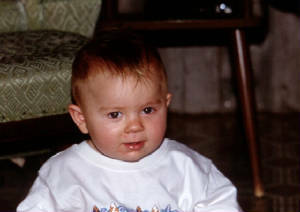 The first picture is my twelve month old son Dan. The second is the view off of our deck at sunset. 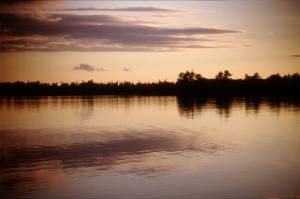 (Harvey Lake)"
"They were both taken with a previously untested and unserviced C-4. 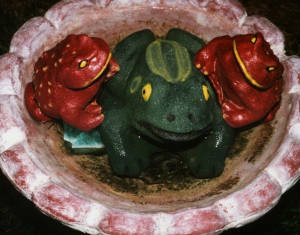 The frogs were piled into one of my birdbaths earlier in the week to try to freak out my dog, but she didn't care. 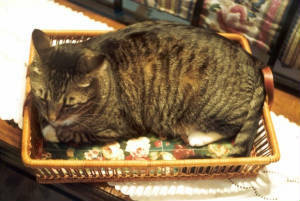 The cat had never used the basket for naps, and barely fit (huge cat). My wife started hollering to get a picture, and I couldn't find my flash. The shot was with incandescent available light. I had to hold a long exposure steady, which I'm not usually good at. 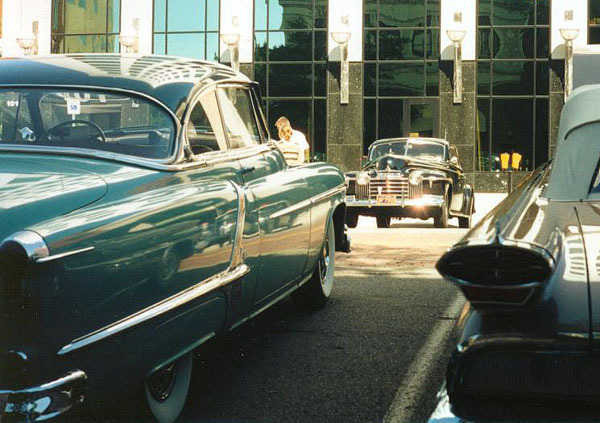 The film was really old Kodak Gold 200 ASA." 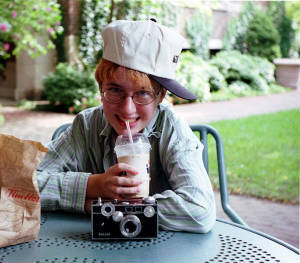 "mfo1.jpg -- Marjorie hamming it up on 8-2. Taken with C-4, Fuji 100 print film. Exposure probably f 5.6 at 1/100. Cropped after scanning, no retouching in in Photoshop. That's her C-3 - donated, renovated and rejuvenated by Jay Waas. 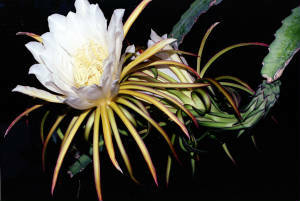 mfo2.jpg -- At the end of the day, my wife showed off the the night-blooming cactus at Matthaei Botanical Gardens in Ann Arbor. Same C-4, same film, but with a small electronic flash. Shot at f16, 1/50 sec. The flower is about 8" across!" " 'Neon Hot Dogs.' This photograph, taken around 4:30 pm after torrential thunderstorms moved across southern New England is of the neon sign at Coney Island Hot Dogs in Worcester, MA. It was actually still raining out when I took this photograph. The camera was my Argus 21 (Markfinder) and the film was Fuji Super HQ ASA 100 color print film. I absolutely love the great images I've gotten with the 21 despite the fact that the camera doesn't have a rangefinder. I think the 21 feels best in my hands of all my Argus cameras and I like the "markfinder" image that let's you determine fairly accurately exactly what will be in the actual image. Exposure for this photograph was unrecorded, BUT I am happy to state that it was calculated using an Argus LC3 light meter I attached to the 21's accessory shoe for use that day. 'Swan Point Cemetery.' This photo was taken at Swan Point Cemetery in Providence Rhode Island at about 2:30 PM on Argust 2nd. The camera was a pre-Colormatic C3. Exposure on Kodahcrome 64 was f/16 at 1/30 sec with an M2B flash bulb in the Autronic folding flash unit." Here are the photos from August 2nd. They were taken with an Argus C3, #977057. 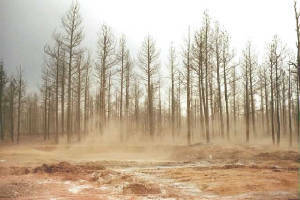 Pix27 is the area up in our Arizona mountains that got burned last month. It was the biggest fire Arizona has had. 500,000 acres. 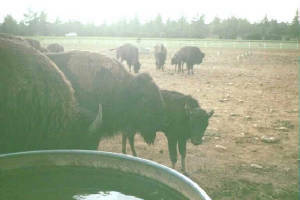 Pix34 is a corral of Bison. You know, like buffalo. The afore mentioned fire almost got them. It's near Heber and Overgaard on Arizona 260. Here are 2 photos from Bob Grahn, commonly known as Q. 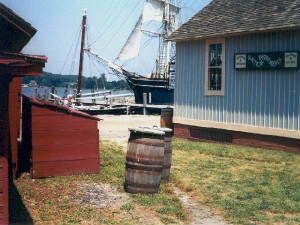 These were taken with a 7 speed Argus C-3 SN C31733, at the Mystic Seaport in Conneticut. 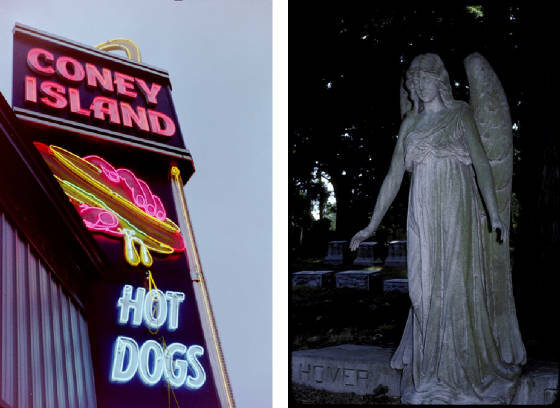 Both photos shot on Kodak Portra 160NC, f11 at 1/100, taken in Charlotte ( say shar LOT) NY. 1st picture is one of two swing bridges left in the country. 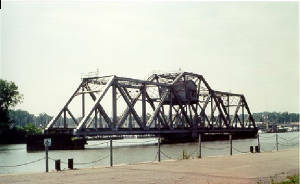 Manufactured by King Iron Bridge and Mfg. Co. in 1905. 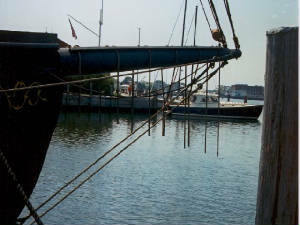 Located in the Genesee River, the Coast Guard has deemed it a hazard to navigation and ordered its removal. This inspite of its eligibility for the National List of Historic Places. 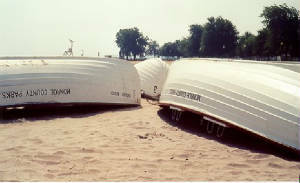 2nd picture is of the Lifeguard boats at Ontario Beach. Argust 2nd found me 650 miles away from home, in the Allegheny Valley of Pennsylvania, visiting with my family in the area where I grew up during the Argus Classic Period. done about 1:00 AM under the Tarentum High Level Bridge. This is a large bridge carrying four lanes of traffic across the Allegheny River; at this point the river is two or three hundred yards wide. Argus Model 21 Markfinder, normal f:3.5/50mm lens, wide open, Kodak Max 400 print film, Argus hotshoe flash unit with fan fold reflector. This shot demonstrates the power of a Sylvania Press 25 class bulb, a single bulb's light reaching across more than half the width of the river. Vintage gas stove was found the afternoon of Argust 2nd in the Tarentum, PA, Historical Museum. This picture also shot with the Argus Model 21 Markfinder, normal f:3.5/50mm lens, loaded with generic ASA 200 print film, existing light, hand held at 1/10 second. 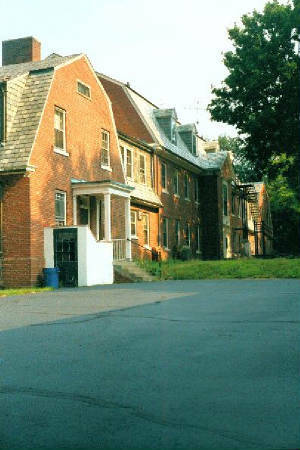 The first, file name 'argpic1' is entitled 'The Big House.' Taken with a C-3 with 35mm f/4.5 Argus-Sandmar, f/11, 1/100. The second, file name 'argpic3' is entitled 'Ducks.' (Original, ain't I?) Taken with the same C-3, 100mm f/4.5 Argus-Sandmar, f/16, 1/200. 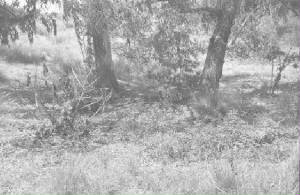 This photograph was taken in Yorba Linda, California at about 2:30pm. I used a C-3 Color-Matic with the 50mm Cintar lens. I used Agfapan APX 100 at ASA 64 developed in HC-110 Dil.B for 5 1/2 min. North Head Lighthouse on the Washington Coast. Argoflex 75 loaded with HP-5.